Kenya’s 2013 elections: Opportunities for change or opportunities for violence? I’ve been nocturnal of late, crashing on a paper I’m presenting on the post-conflict integration of armed groups into the SPLA at the African Studies Association conference on Saturday. My odd hours may, in part, explain my recollection of the phone call I received this morning from one of my contacts in Kenya. I must’ve mumbled something about Kenya’s upcoming elections – because you know Lesley on Africa thinks about these things in her sleep. Kenya’s elections are scheduled for 4 March 2013, and they’ll be the first under the new constitution passed in August 2010. These elections are also notable because they are an opportunity to overcome the legacy of the 2007-2008 post-election violence, in spite of the fact that senior politicians (William Ruto and Deputy PM Uhuru Kenyatta) indicted by the International Criminal Court (ICC) for their roles in said violence are allowed to run for president. Ruto has even claimed that he can rule Kenya from the Hague. With the new constitution comes decentralization. For the first time, Kenya’s political elite will be able to compete for positions as governors of one of Kenya’s 47 countries, or for positions in the Senate, which will be the upper house in Parliament. New positions equal new opportunities for access to patronage, and perhaps new opportunities for political competition. Many Kenya watchers have observed with concern the rise in domestic terrorist attacks linked to Kenya’s ongoing military operations in Somalia since last fall; the rise of communal violence in Coast Province – both in Tana River, but also in response to the extrajudicial killing of Sheikh Aboud Rogo; and the Mombasa Republican Council’s (MRC) threats to disrupt the elections if their grievances go unaddressed. There have been reports that Kenya’s Independent Electoral and Boundaries Commission (IEBC) is frustrated over low voter registration rates, and earlier this week, the acting U.S. Ambassador to Kenya expressed his concern about the IEBC’s readiness for the election. This morning, when asked what they thought about these issues, my contact betrayed their frustration with the slow voter registration process, explaining that some eligible voters are both skeptical of the electoral system as an agent of change and wary of the potential for bloodletting in the months surrounding the elections. That said, from what I recall of the conversation, my colleague was optimistic about the potential for the elections to be transformative in Kenya. But is this individual seeing these developments through rose-tinted lenses because they may have a vested interest in the success of the electoral process? Or are outside observers not giving Kenya enough credit to be able to pull off a credible election free of communal violence? It may be a little bit of both. I can’t provide a definitive answer for those questions, but I thought they were important to raise as Kenya enters its final stretch towards the elections. In October 2011, the Kenya Defence Forces (KDF) invaded southern Somalia with the stated purpose of dismantling Al-Shabaab and seizing the port city of Kismaayo, from which the Islamist militant organisation earns the majority of its revenues. After an initially swift invasion, Kenyan forces languished in southern Somalia for seven months before conquering the city of Afmadow, which lay only 90 miles from its common border with Somalia. Upon seizing Afmadow, both Kenyan Prime Minister Raila Odinga and KDF Chief of General Staff, General Julius Karangi projected that Kismaayo would fall by 20 August – the date of the expiration of the mandate of Somalia’s Transitional Federal Government (TFG). Like previous targets articulated during the course of the Kenyan military’s involvement in Somalia, the attack on Kismaayo has since been delayed, but is imminent nonetheless. When Kenya sent troops across the border last autumn, there were many reservations about the KDF’s prospects for success. The failure, to date, of successive military interventions by the United States, Ethiopia, the United Nations (UN) and, until recently, the African Union (AU) was but one of these concerns. Although the KDF is a professional military that has formerly participated in AU and UN peacekeeping operations, it had no expeditionary experience outside of these deployments, and has had limited experience fighting an unconventional adversary like Al-Shabaab. Compounding these challenges, Kenyan forces entered Somalia right at the outset of the rainy season and were stalled for several months, burdened by the logistical challenges imposed by the poor infrastructure of southern Somalia. The MRC’s grievances include a lack of employment opportunities in the region, issues with land tenure for the indigenous people of the coast (in contrast to title deeds issued to people who have settled there from other parts of Kenya), and the harassment and arbitrary arrests of its members by Kenyan security forces. Furthermore, given the role the region plays in contributing to the economic development of the country through revenues from tourism and the port of Mombasa, the MRC accuses the Kenyan government of being unresponsive to the region’s concerns. The Court’s ruling lifted the ban imposed on the MRC’s activities by gazette notice number 12585 from October 2010, which declared the MRC, along with 32 other groups, to be organized criminal organizations under the Prevention of Organized Crimes Act of 2010. 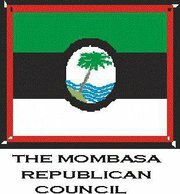 Later that year, the MRC filed a civil case with the High Court in Mombasa challenging the government’s ban. To date, the MRC has been the only one of these groups to challenge the state’s designation in court. Citing a lack of evidence that the MRC had engaged in criminal activity, the Court accordingly declared that the government had failed to justify that the ban was justifiable and proportionate. However, the Court issued a caveat to its ruling, stating that it should not be seen as an endorsement of secession and dismemberment of the country, and warning that the MRC’s agenda must not incite war, violence, or hate speech. The Court observed that the group had the attributes of a political movement, and advised that it register as a political party and pursue its agenda through legal means. Kenya’s 2010 constitution offers a measure of devolution through which local grievances could be addressed, and elections in March of next year will be the first under this constitution. Nevertheless, the MRC believes that, even with increased local political representation as a result of the new constitution, elections cannot change the fortunes of the region. The High Court ruling is a victory for the MRC, as it is now allowed to carry out non-violent political mobilization. However, it also potentially undermines the group’s claim that it cannot seek redress for political and economic wrongs within the framework of the Kenyan Constitution and thus needs its own state. This could create ideological conflicts that could fracture the cohesion of the movement around the idea of secession. Should the MRC continue to call for secession of the Coast, which I suspect it will, the Kenyan government will have to determine if this will continue to preclude opening a dialogue with the MRC – or more generally, with aggrieved coastal populations. What happens next will largely depend on whether either the MRC or the Kenyan government resort to violence. If the former resorts to violence, we will probably see the Kenyan security services responding in a heavy-handed manner, which could propagate further acts of violence on the part of the MRC. If the latter resorts to violence, this could also escalate the conflict, forcing legitimate socio-historical grievances to transform the MRC from a group that espouses non-violent protest to one that adopts more violent methods. I hope to write on this topic in more detail in the next week or so – admittedly, I have left a bit out about the MRC, including allegations that it has an armed wing and has links to al-Shabaab. But for now, for further reading on the MRC I would recommend Emmanuel Kisiang`ani and Mashaka Lewela, “Kenya’s Mombasa Republican Council: liberators or nascent radical fanatics?” and Paul Goldsmith, “The Mombasa Republican Council Conflict Assessment: Threats and Opportunities for Engagement.” Also, when I was in Coast last month, I met a researcher doing fieldwork for a report on the MRC, so I’m hoping that in addition to these two sources, we will soon have another great resource that sheds light on the group and the government’s response to the situation as it continues to develop.